The Gallery @ CGAF presents its latest exhibit “A Walk on the Wild Side” featuring African wildlife photos by Miami wildlife expert Ron Magill on Saturday, December 1 from 7 to 10 pm. The Gallery @ CGAF is located at 3390 Mary Street in Mayfair. His photography and his love, passion and admiration for wildlife and nature are evident in this exhibition. 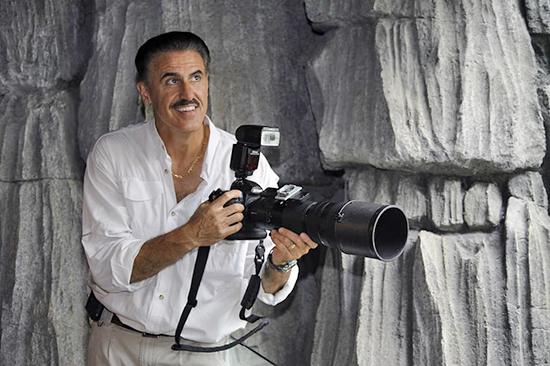 A renowned photographer, television and radio personality and educator, and you of course known Ron as the Goodwill Ambassador and Communications Director at Zoo Miami. He began his career at Zoo Miami as a zookeeper. Ron's passion for Florida’s natural environment developed soon after he moved to Florida from New York as a child, is today a leading activist for the global conservation of wildlife. His international appearances and exhibitions have inspired worldwide wildlife conservation awareness. His latest project, The Ron Magill Conservation Endowment is supporting wild life conservation projects while also instilling a legacy of global empathy from generation to generation. Ron's Endowment has raised more than $1 million and is working closely with global conservationists and organizations on wild life survival. The Gallery @ CGAF exhibition opening on December 1 will offer complimentary refreshments and networking beginning at 7 pm. RSVP on Eventbrite here. Ron Magill’s photos will be displayed through January 25. For more information on the “A Walk on the Wild Side” collection, visit RonMagillConservation.com. For more information about the Gallery @ CGAF, visit CGAF.com.